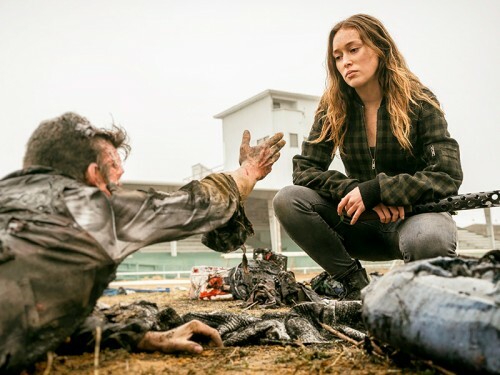 AMC has released a trailer for the second half of “Fear the Walking Dead’s” fourth season. Returning Aug. 12, the impressively revamped show finds its survivors split in Texas during a massive storm so strong it hurls the dead sky high! To be fair, the show had already show signs of life by the end of season two and by three was up on its own feet with an intriguing narrative. Still, the new season is much better and “Walking Dead’s” Morgan is far less annoying here despite signs that he may still be bonkers.